Where you’ll always find me. As a LinkedIn fan, believer and enthusiast, I’m an ever present. MY commitment to LinkedIn has been noticed, and I’m proud to say I’m appreciated by LI. I’m happily a LinkedIn speaker, I can talk without any notice because I’m immersed in LinkedIn. If you need help, just send me a LI message. It is a sad thing to say that many people make decisions without much thought of the real long-term ramifications on their OWN life. I’m not saying I always make the correct decisions, but at least I put all decisions through a filter before I act, so that I at least minimise the risks linked with a bad decision being made in haste. Or to put it another way, I still make many appalling decisions, but they no longer create a major problem in my life. So what is the filter process, (I pretend to hear you asking) here’s a starter, you can add as many as you wish to the list to create a great thought process for delivering better decisions continually into your life. How will this affect my wife? Will she happy with the results of me making this decision, and do I need to consult with her first before I decide? How will this decision affect my health? How will this decision affect my time commitments? Will this decision make me happier, or just better off, is the trade-off, worth it? Any effect on friends, family, work colleagues or other important people in my life? You can add many more you feel relevant, like costs, debt, who you are associating with, and the effects on you of being associated with you. Much of this is down to a personal view on your life. My life is based upon relationships, money comes a distant second, but I understand its value better than most who squander it on many things they barely want, yet alone need. I’ve just decided to help out LinkedIn again after being specifically asked by one of their staff. It means committing time regularly to assist others in getting their issues resolved on the LinkedIn Help Forum, I’m doing it for free, but doing it in the past has meant I met a load of friends that I still treasure. So I hope that by reading this you formalize your decision-making process a little bit, and that it brings you the happiness that I’ve been the recipient of, for decades..
How to create the ideal work life balance – post 2 – what is not needed ? Listening to feedback on LinkedIn one of my friends stimulated a worthwhile topic. When asked to do this that and the other for work, do we always consider the effects on our family? When we commit to our children, do we always remember our commitments to our employer or business? Can we always succeed perfectly at both home and work, should we expect to fulfill all our commitments to both? Is perfection needed – or should we just learn to accept that we should just do our best and be happy with the results? So what is not needed? Perfection is not needed, if we can see a way to get the balance right we can keep our jobs and have a fun family life. One of the feelings that trap us is the feeling of guilt that we put upon ourselves when we attempt to motivate ourselves to do the best, and strive for perfection. However, as my life has developed, and I have realized (not smugly) happily that I have a wonderful life, I’ve often asked myself why is my life this way? Truthfully, I’m lazy, I feel life, my time passing through me and many people just expend time without understanding that time is of real value. Everything else comes and goes, and can return, but time once spent goes forever. So learn to feel for that balance in your life, I cover time management in post 3. Is it more important to get a task done or look after your teeth … at 2.30 is your dentist appointment more important than just another task at home or work… find the balance. Next when you hear yourself think, “I’m not happy with that” … ask yourself “Why am I not happy with that, do I really need to alter the outcome?” A lot of times, we have just sprinkled unnecessary guilt upon a task or duty that need not be associated with it. Remember, that more time spent perfecting one thing is less time spent living your life doing another thing that you will also be sprinkling with guilt. Often in life we react automatically to situations, we become desensitized to our own emotions. We become re-act-a-trons. Start applying that filter system to your thoughts so that you can decide what is right for your life before accepting an outside influence. Remember, rushing around to everybody else’s beck and call will not necessarily bring you happiness, and most importantly it may not bring them happiness or their desired outcome either. Our job in life is to decide which actions are worth doing for both parties (ourselves and the other stakeholders in the action) be they our relatives, friends, colleagues, bosses, employers, employees or anyone else. So … again … what is not needed ? Another answer – Guilt – Guilt is not needed. Rebekah talks of a “Trade Off” … what is meant by a trade off? A trade off, is where you accept less than perfection on one thing to spend more of your efforts on another thing. Often there is a trade off between home life and work life. Have a look at time management (link further up in the post) and try to learn to say no, not now, or never to some things in your life. Consider delegating more, ask for more help in family tasks, find ways to reduce your load to enjoy your life. Also try “Am I feeling guilty, and feeling emotionally blackmailed into doing this task?” then just keep asking yourself why, and whether you can alter this emotional view of this situation. We all deserve a life that is fun, fulfilling, etc , but how often do we run through a process that in our heads allows us to make decisions that rush us towards real peace and happiness in our life. However, most people do not feel they control their lives. If you feel the regret of the trade off, and the guilt of a lack of perfection then start to make changes to your decision making process, change how you think about work, home and the people in your life. Self awareness starts with a questioning mind. To be able to use your questioning ability, you will need to allow yourself the time. Will you ? Can you ? Why not … I took the time to write this because it mattered to a friend. I enjoyed it. I feel no guilt for spending 3 hours doing so, despite the fact our house needs many things, my life will be run by me. My priorities are clear to me … are you priorities clear to you? If not what is stopping you? The imminent death of paper CV’s. 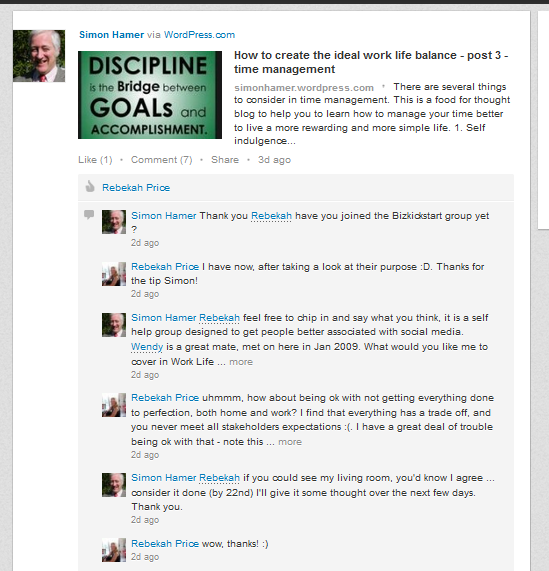 thin threads that grew stronger – a recurring theme on networking on LinkedIn. In 2012, I had a lot of exposure. 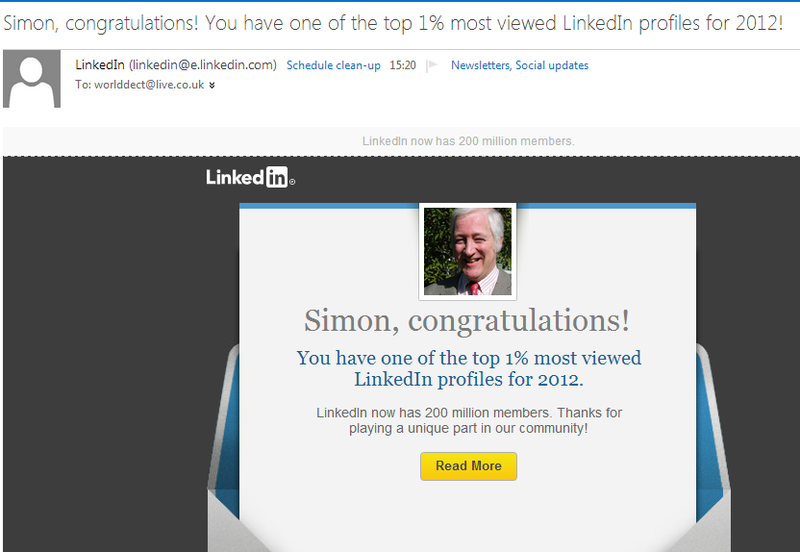 I wonder how much this will change now that LinkedIn have removed “answers” from LinkedIn. I remember the early days of LinkedIn. 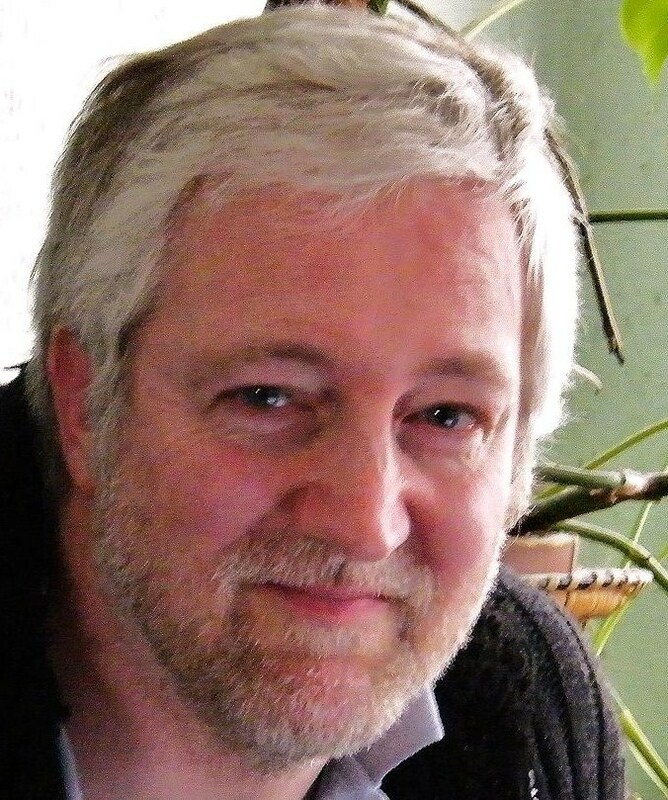 Immediately I loved the new social networking tool that allowed me to connect with present and former colleagues, although not many at that time had built profiles. In the decade to follow, LinkedIn has become the defacto standard for professionals to connect, share, maintain contacts, and search for or post jobs. At a recent event, I was speaking with a fellow IR practitioner who told me that their company does not allow IR to connect with people in the investment community. The reasoning was that it would open up the door for potential bad behavior — hedge funds or portfolio managers getting a little too aggressive and checking the IR persons contacts for co-workers who they could then call for backdoor checks and additional insight into the business. This is a fascinating journey into the stress that a lack of time can have on your social media usage. One thing that is clear from this poster is that it is well worth your while to have profiles on several different sites if you wish to network effectively online. Answer :- If you are only sites that they are not, then you cannot build a relationship online with them. I have several trusted friends who are neither on Facebook or Google+, and more importantly have zero intention of ever joining those sites. They have told me…. repeatedly ! blogging, blogs, blog and ranting from anyone and everyone, an eclectic mix.